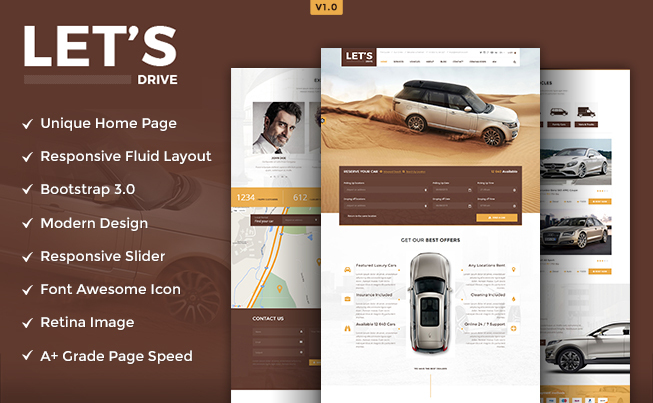 Lets Drive is a responsive PSD template that can be rapidly coded into HTML markup and converted into an attractive website. As the PSD is quite flexible, it can be converted into a website using WordPress or any other CMS. 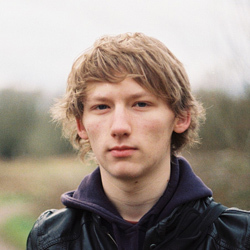 It is based on Bootstrap grid and hence, it has a nicely structured hierarchy. All the layers of the PSD template are fully editable and properly named. In order to do justice to a car rental and sale website, we have provided a range of features such as relevant sections, element options, and filters. Along with these features, there are well-designed graphics that enhance the aesthetic value of the website. Lets Drive PSD comes with 11 PSD files to help you build all the web pages required for car rental website including home page, about us, vehicles page, service page, contact us page, blog page and others. All the PSD files that we deliver to our clients have a pixel-perfect layout where each pixel is at the right place. All the elements used in the PSD are fully-aligned and based on the grid. The pages render with equal sharpness on all the browsers. 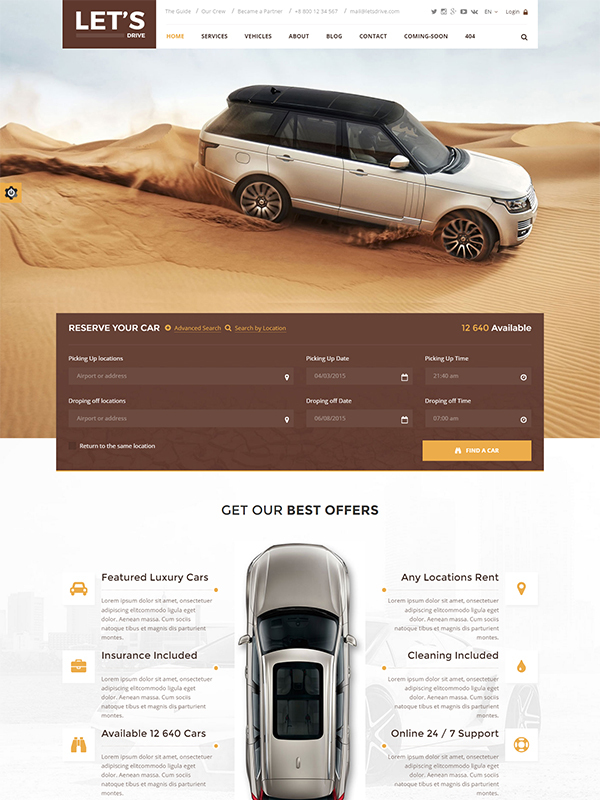 With Lets Drive PSD template, you get several website sections that you can utilize to build a website that offers car rental and sale service to the customers. These quality sections have been especially designed for this. Large Home Page PSD templates are offered with Lets Drive PSD template to help you build a website that does not look cluttered with content. Large homepage ensures that you can convey a lot of information to the users. The PSD has been developed using Bootstrap with 1170px grid which ensures that the webpages that you build with the PSD looks sharp and do not blur out on any browser or devices of varied resolutions. We have used Font Awesome icons in the PSD that can be customized according to your wish. These icons let you create a website that is distinct in visual appeal and offer a unique user experience. Enriched with 1170px Bootstrap grid, this PSD template comes with 11 different PSD files with loads of sections that you can utilize in your website. You also get Google Web Fonts and free icons with the template. It is a versatile and highly flexible template that can be used to build any website that you want. Pre-built sections to suit car rental and sale features. The PSDs provided with Lets Drive PSD template are with well-organized and properly named layers so that you can convert them into HTML markups without any confusion. We have designed the PSDs in a way that they can be customized without putting in too much effort. As the layers are well-defined, you can modify them before you convert them into HTML. The PSD is widget-ready which implies that the widgets in WordPress or other CMS can be used with this PSD. There are provisions in the design to support the widgets. In order to help you customize the website according to your wish, we have provided Google Fonts which you can implement in the website and make it unique in appearance. We have included a doc file in our package which contains a guide to use the PSD template and other details about it. If you face any issue, you can refer to this help file. The PSD also has many filters in it that are especially included to make it suitable for a rental and sale website. Along with other elements and sections, the PSD serves its purpose.